Yet surely there was something to this rivalry? 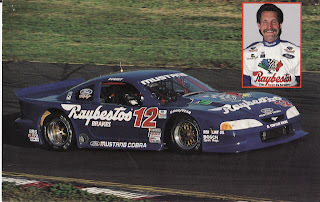 As I still vividly recall how the two opposing Blue Oval team’s drivers were split-up even during the autograph sessions at Portland International Raceway; (1994) ‘Whale at least that’s what I’ve always thought when getting two 30th Anniversary Mustang posters autographed by the Gloy Boyz, i.e. ; Dorsey Schroder, (who looked disgusted with my getting two posters signed...) John Gooding and Boris Said - as I’d really liked to have gotten thee original ‘TK’s (Tommy Kendall) “John Hancock” too. And I must confess I’ve really never known much about Messer Gloy other than he’d actually raced as a driver in CART and even contested the Indy 500 in 1984. Whilst further reading reveals that he also was the 1979 Formula Atlantics champion and 1984 Trans Am champion - prior to fielding his own cars. And I suppose I was simply opposed to his Trans Am team since it was always at the sharp end of the grid, and always being a contender for the illusive Trans Am crown - during the era of my all time favourite TA Mustang body style; those narly, nasty, chiseled looking chassis of the late 1980’s (86-88?) thru 1993 - which I suppose were supposed to mimic the 5.0-liter ‘Stangs, eh? Jack Baldwin: 1992 Trans Am Champ in Hot Wheels Chevy Camaro. 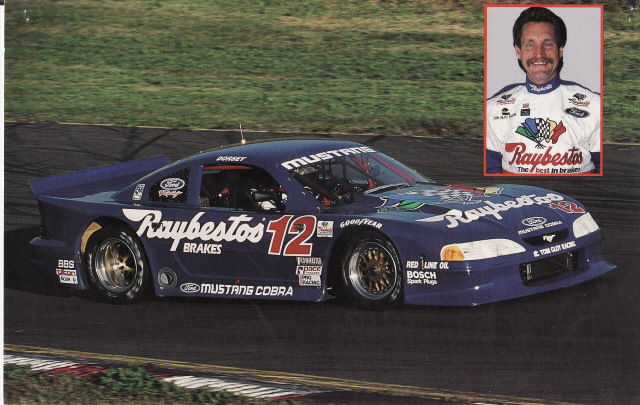 Thus, with the demise of the REAL Trans Am series, circa 1999 - ‘Ought’s, or whenever Paul “Goofy” Gentilozzi took it over? I lost interest in the series sometime around when the De Tomaso based :QuaVallie” (Qualve Tommy Bahama’s Mangusta appeared - since I never knew that Boris Said won the title in ’02, not to mention Brian Simo in said Mangusta winning the Y2k (2000) crown... Thus losing touch upon what Gloy was up too? Although I recall standing around and gawking at the Rocketsports Jaguars in the Portland paddock circa ’05; along with knowing that ‘Scooter, nee Scott Pruett had won a fourth TA title in ’03 aboard an XJR, think it was a Budweiser liveried ‘Cat - during the Jaguar “Spec” era - Messer Gloy simply faded away to Mwah.